Object Storage What is it? During VMworld their was a lot of talk around the announcement of VMware vCloud Air Object Storage. This is a major milestone for VMware’s Cloud Services offering, and provides a lot of capabilities customers have been asking for. You can read the Tech Preview Blog Article here. However, since VMworld a lot of people have been asking me “Object Storage What is it? and why would I use it?”. Not everyone has heard of Object Storage, let alone started consuming it, so I thought now would be a good opportunity to share with people what I have been using Object Storage for. I have been using Object Storage offerings for over 4 years now. Ever since I discovered that my Iomega (now Lenovo) PX-4 could automatically backup to Amazon S3, I have been using it for a backup service. Object storage (also known as object-based storage) is a storage architecture that manages data as objects, as opposed to other storage architectures like file systems which manage data as a file hierarchy and block storage which manages data as blocks within sectors and tracks. Each object typically includes the data itself, a variable amount of metadata, and a globally unique identifier. Object storage can be implemented at multiple levels, including the device level (object storage device), the system level, and the interface level. In each case, object storage seeks to enable capabilities not addressed by other storage architectures, like interfaces that can be directly programmable by the application, a namespace that can span multiple instances of physical hardware, and data management functions like data replication and data distribution at object-level granularity. Object storage systems allow relatively inexpensive, scalable and self-healing retention of massive amounts of unstructured data. Object storage is used for diverse purposes such as storing photos on Facebook, songs on Spotify, or files in online collaboration services, such as Dropbox. So we know its cheap, mostly cloud based storage. But why would I use it? What are the main use cases? I use it for two specific use cases. Backup and File Syncing. How many people out there use Dropbox? That is a cloud based Object Storage offering! 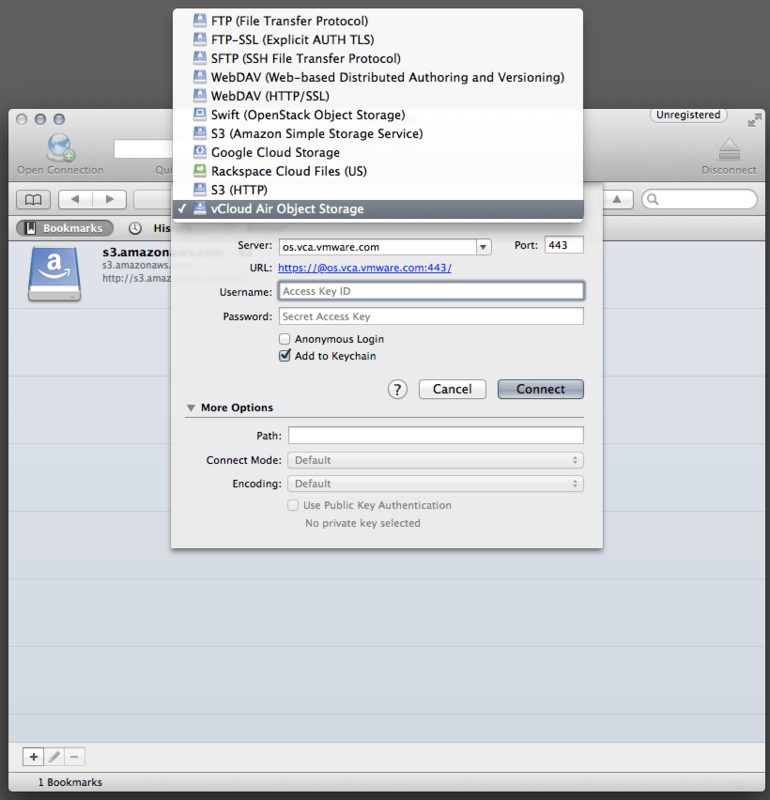 It allows you to sync your files across many devices, and also access your files on the web when you need them. Backups is the biggest use case that I see for Object Storage. I use it to store all my photos in a secure off-site location, so that in the event of a disaster I can retrieve all my photos. Out of everything I own, the only things I cannot replace is my photo collection. Baby Photo’s, Holiday Photo’s, Christmas, Birthdays, Wedding etc. They are irreplaceable. 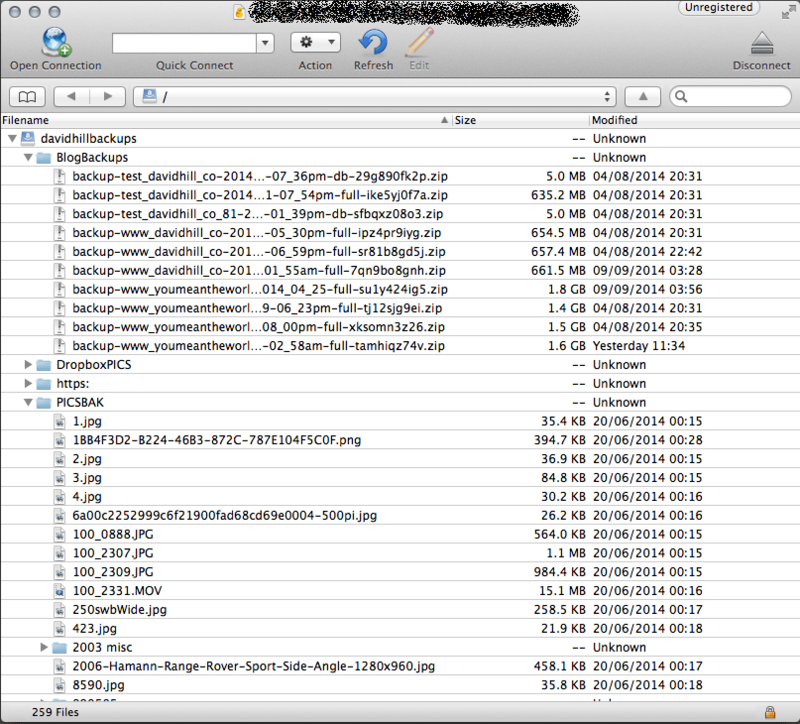 So lets have a look at how I leverage Object Storage to have an off-site backup of my photos. I have two devices that I take photos on, an Apple iPhone and my Digital Camera. First I sync all my photos with Dropbox. Dropbox provides a great way to automatically import all your photos, you simply plugin your device and upload begins. Dropbox then syncs with all my devices that I have. Importantly, it syncs with my Mac Mini at home. Every night, my MacMini checks for new files in my photos folder. When it detects a new file, it copies this file to my PX4 device. This NAS device also acts as my main media server for my home, which allows me to look at the photos on any TV around my house. Once the PX4 detects a new file, it uploads this file automatically to the off-site Object Storage bucket. All the data is encrypted using SSL while uploading, and is encrypted at rest too. 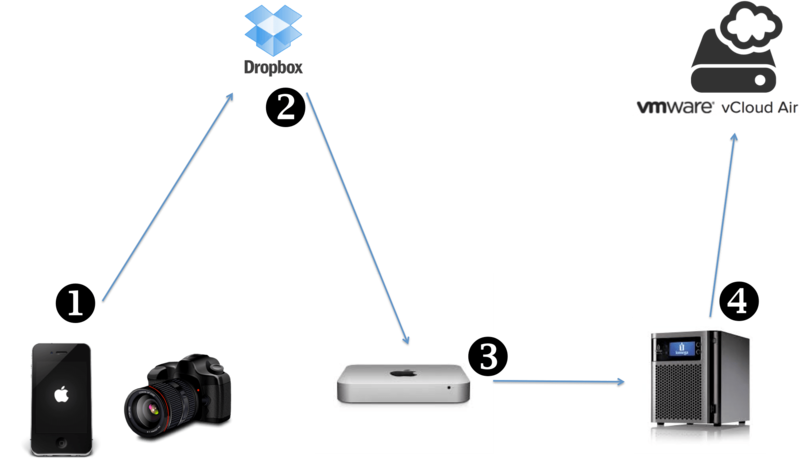 I already hear one question brewing on peoples lips… Why don’t you just use Dropbox as your offsite storage? Well the simple reason is that files are easily deleted from Dropbox. Also space is limited on Dropbox (or it was until last month when they upgraded me to a TB) I have over 300GB of photos now. By leveraging this solution, it allows me to have my photos available at anytime, and also if my house was to burn down, gives me a really cheap way of having an offsite backup where I can easily restore all my photos from. I also use Object Storage for my blog backups. I use a WordPress plugin called BackupBuddy which automatically backups all my WordPress sites, and uploads the zip file to an Object Storage bucket. This allows me to never worry about backing up my blog site, as the zip files can just be downloaded and imported back into WordPress very quickly and easily. The other great part of Object Storage is that you can leverage it pretty much in the same you can use FTP sites or File Servers. Most Object Storage providers use S3 compatible APIs so you can use tools like CyberDuck to upload and download files extremely easily. You can see in the screenshot below, how easy it is to manage your files and folders. Its just like using any other file management tool. 3 Responses to Object Storage What is it? Ok for the cloud-based applications but I do not get what is object storage. Apart from the Wikipedia definition, your article does not explain that. Particularly, I do not understand why objects are considered cheap and scalable. How different is it from architectures like file and block storage?